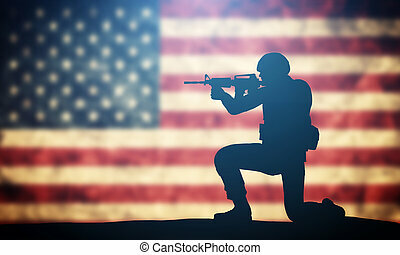 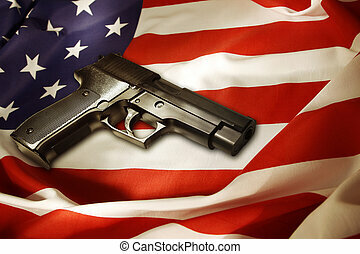 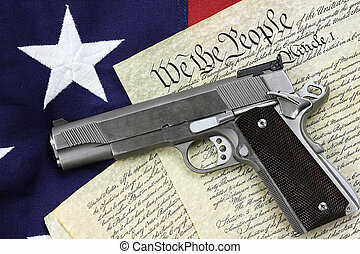 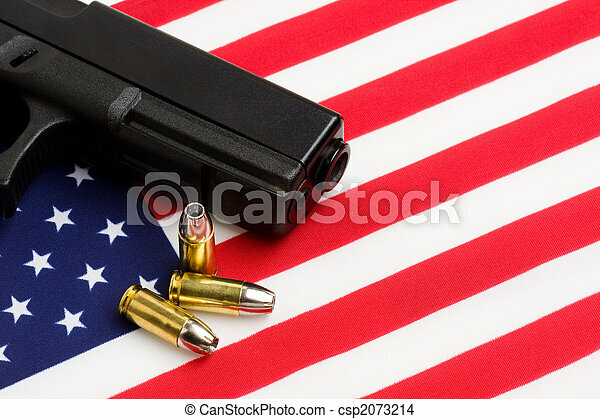 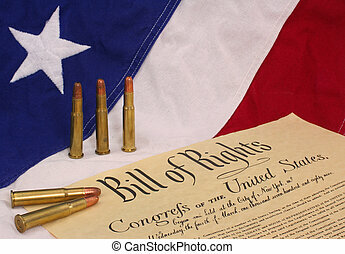 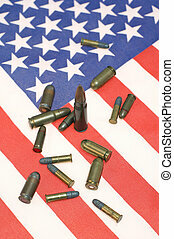 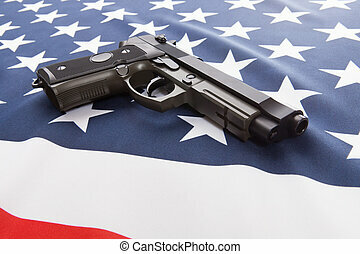 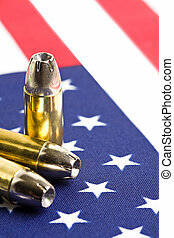 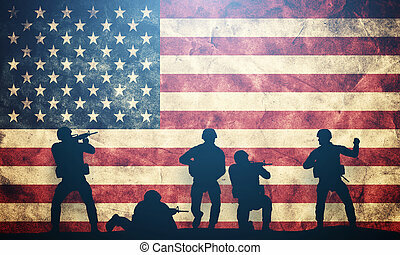 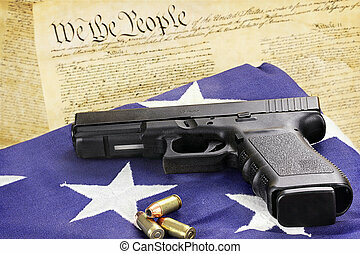 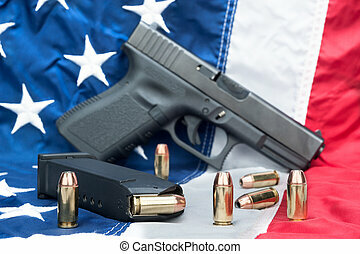 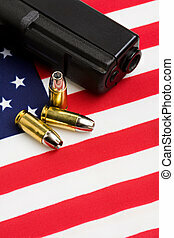 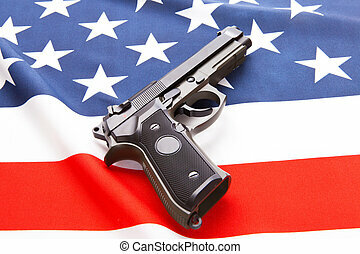 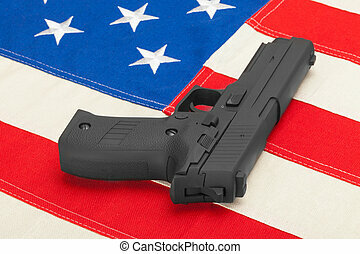 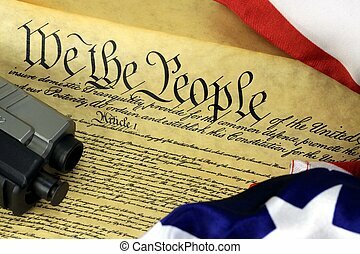 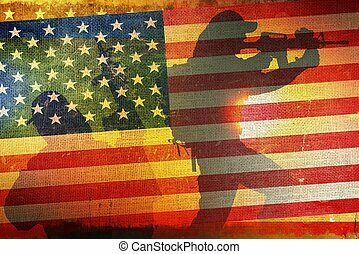 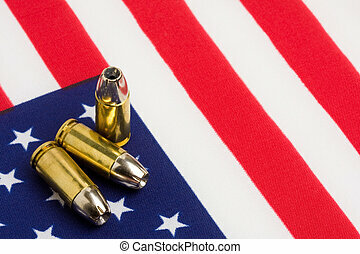 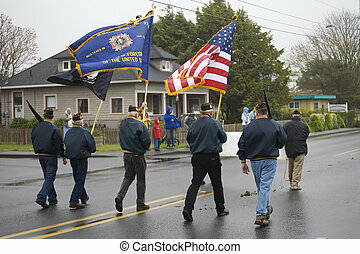 Gun over american flag, modern 9mm handgun with bullets. 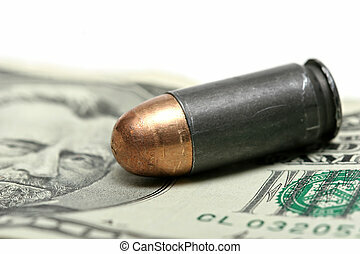 macro of a bullet on a stack of bills, over white. 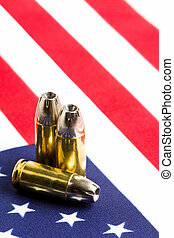 limited depth of field.